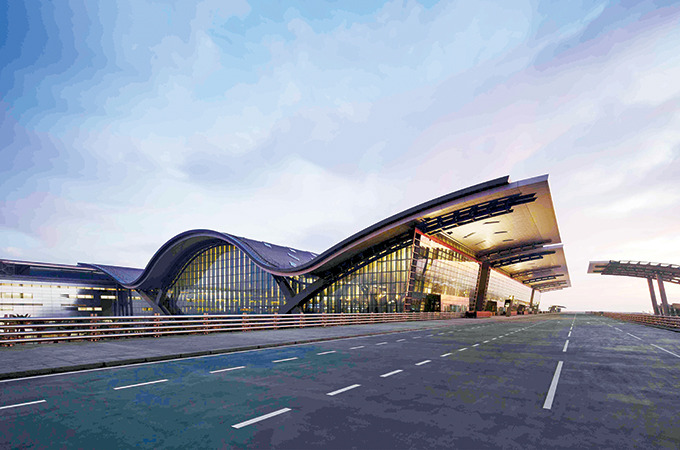 Famously mentioned by US president Donald Trump as an airport that has impressed him and inspired him to refurbish America’s domestic airports, Hamad International Airport (HIA) has been ramping up impressive numbers as a testimony of its exceptional performance. HIA has welcomed 120 million passengers since the beginning of its operations in May 2014 till the end of 2017. In 2017, cargo observed an increase by 14.52 per cent, with total of 1.9 million tonnes in handling. HIA successfully recovered its passenger numbers with an average monthly increase of 3.75 per cent in the second half of year, after the initial drop in volume in June 2017 due to the restrictions imposed on the country. HIA has been recognised for its punctuality, ranking next to first, among the most punctual major airports scoring 85.41 per cent on-time performance (OTP), as demonstrated in aviation analysts OAG’s 2017 Punctuality Report recently released. HIA’s resilience is due to new strategic partnerships and to a combined effort from the airport, its national carrier, Qatar Airways and Qatar Tourism Authority, who have worked together to encourage and promote tourism and travel in Qatar. While Qatar Airways accelerated its global expansion with the launch of 10 new destinations in 2017, Qatar Tourism Authority’s efforts to allow visa-free entry for citizens of 80 countries makes Qatar the most ‘open country’ in the region and supports HIA’s growth to a great extent. Meanwhile, HIA has welcomed several new airlines which started operations in Qatar in 2017 including Oman’s SalamAir, Kuwait’s Al Wataniya Airlines and Jazeera Airways, Bangladesh’s Regent Airways and US Bangla, and IndiGo, India’s largest and fastest growing low-cost carrier. Sports and culture were one of the key highlights of 2017: HIA strengthened its Platinum sponsorship of German football team FC Bayern München, asserting Qatar’s role as a global leader in sports, and partnered with Qatar Museums to launch a series of exclusive guided tours of iconic artworks by local and international artists displayed at HIA, in line with the Nation’s efforts to build a strong tourism and cultural landscape. The year 2017 also marked the signature of two major strategic partnerships building on HIA’s Smart Airport Vision: HIA signed a Memorandum of Understanding with Huawei, aimed at enabling the airport’s digital transformation in May 2017 and with global IT provider SITA in order to jointly trial and improve passenger processing solutions. HIA is now part of the SITA club composed of 400 members of the global air transport industry.